Investors are putting a lot of faith in Pfizer succeeding in its $100 billion-plus quest to acquire UK pharmaceuticals rival AstraZeneca. The right price for the target’s share price can be seen as the weighted average of two possible outcomes – a sale to Pfizer or a standalone future. A new Breakingviews calculator shows why the market seems to think a transaction will probably happen. 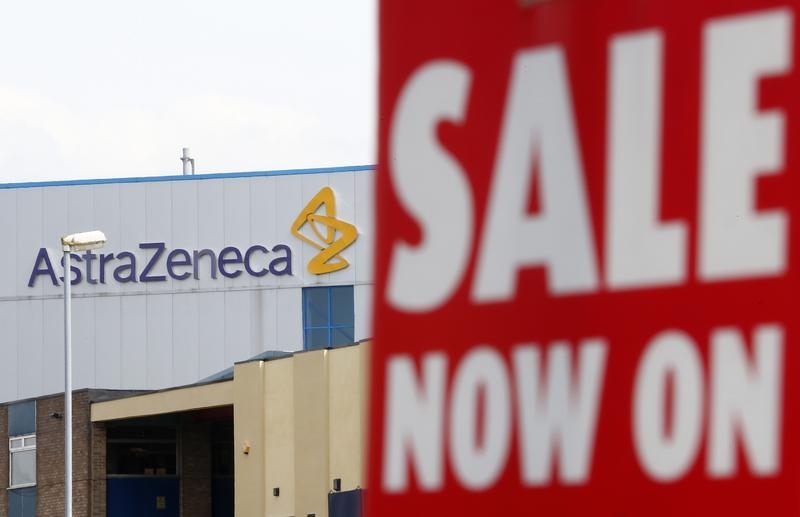 AstraZeneca’s shares, trading at 46.84 pounds on May 15, are being torn two ways. One risk is that Pfizer fails in its pursuit of the group, in which case the shares could fall back to near their 37.82 pounds value prior to news of Pfizer’s interest. Alternatively, Pfizer could prevail, though probably with a higher offer than the U.S. group’s last non-binding approach on May 2, which was worth 50 pounds a share at the time. Pfizer will certainly have to offer more if it wants to secure a recommendation from AstraZeneca’s board. These dynamics are complicated by time. The giant merger would require approval in multiple jurisdictions. The further away the payday for AstraZeneca shareholders, the lower the present-day value of any offer made. If Pfizer chooses to go hostile, a deal would probably take longer to complete as AstraZeneca’s management would not cooperate to help get the transaction done. The current share price can be seen as pricing in roughly a 60 percent chance of Pfizer prevailing with an offer at 55 pounds a share, taking 18 months to complete. If that bet proves right, the shares will be worth around 10 percent more than currently. If there is no deal and the shares fall back to, say, 40 pounds, the downside is approaching 15 percent. All this puts pressure on both sides to talk. If hostility defers completion and thereby reduces the value of an offer, Pfizer could end up having to pay more. So an agreed deal at 55 pounds a share, with completion in 12 months, is worth the same to shareholders as a hostile deal pitched at a higher price. The market’s optimism that there will be a transaction is easy to understand.